You’ve likely heard that news that more and more auto buyers are turning toward dealer auctions online when they buy used cars, this is supported by the growth of such auctions. There are plenty of good reasons for this. Online dealer auto auctions allow consumers to enjoy once unheard-of savings, sometimes on the order of 70% or even 80%. What’s more, consumers can now shop for used, salvage and like-new vehicles from the comfort of their own homes, all while enjoying a huge and varied selection that you could never get on a dealership’s lot. 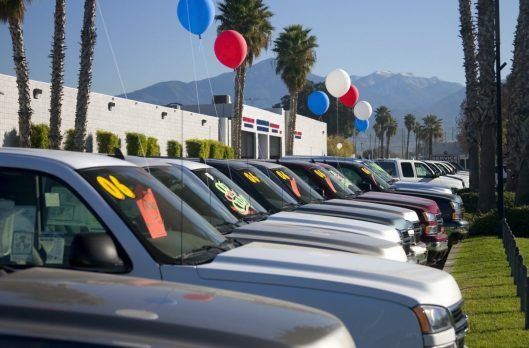 Getting the best possible deal when you buy a used car in a dealer auction requires starting with a sensible budget. Of course, you’ll want to keep things in line with what you can actually afford. But, make sure you’re considering more than just the final bid price. There are auction fees that will apply, and you will also need to pay for pickup and delivery of any vehicle that you win. Finally, it may be necessary for some post-purchase repairs to be made, too! Make sure that you account for everything – if you intend to sell-on the vehicle after you’ve done some work on it, what other fees will you have to pay related to this? If you’re importing the vehicle into another country, what are the tariffs, customs fees or other taxes? In figuring out the above costs, your auction specialist – who will be assigned by the website to assist you – will be absolutely invaluable. But, this specialist can help you with a great deal more. For example, he or she can help you to develop a bidding strategy and can advise you on how much certain vehicles are likely to fetch at auction. In addition, he or she can also cast a wider net in your search, checking out various auctions that cannot be displayed publicly online. So always ask if you need anything, or have any questions, they are all there to help, as they all want happy customers. Figuring out whether or not any given vehicle is a worthy investment requires doing some research. The most important part of doing this research is, undoubtedly, requesting a vehicle history report through a third-party source. With the information that you glean from such a report, you should be able to identify which cars are likely to be more trouble than they’re worth and which ones are likely to be diamonds in the rough. Do a Kelley Blue Book search, which will also guide you in the right direction for the current market value of that model of car. Be sure to factor in any repair costs, and compare this with the overall value, in order to work out if it’s really a good deal for the money. Speaking of diamonds in the rough, don’t instantly write of salvage vehicles. While it’s true that many of these cars will be in bad condition, a not insignificant portion of them may be in fair to even good or great condition. Everything depends on why they were declared as salvage to begin with. Some salvage cars may be written off just because they had been stolen in the past, or seized by the police. They may have only superficial damage, or no damage at all. Try to find out all you can on these vehicles, to get an idea as to what amount of work would get them roadworthy again, and also check your state’s local laws on retitling these vehicles. Some states are more strict than others about the requirements. But there are plenty of guides that will help you through this. Figuring this out, of course, requires doing some of this research. But, if you find a salvage car for which repairs will be minimal, or at least repairs that you can attempt yourself, you stand to get an incredible deal that even the most experienced auto buyers will be amazed at. It’s not even uncommon to buy 2 dirt-cheap salvage cars, to build one perfectly renovated vehicle, for pennies on the dollar. Perfect if you’re looking for a new project!